The Harold D. Thompson Regional Water Reclamation Facility became operational on October 3, 2013. WHEREAS, Special Districts are required by Subsection 24-6-402 (2) (c), C.R.S., to designate annually at the District Board’s first regular meeting of each calendar year, the public place at which notice will be posted at least 24 hours prior to each meeting. 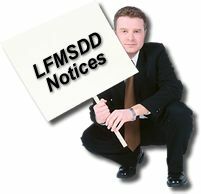 Notices of regular or special meetings required to be posted at three public places within the District and at the office of the County Clerk and Recorder at least three days prior to said meeting shall continue to be made pursuant to Section 32-1-903 (2). The Lower Fountain Metropolitan Sewage Disposal District Board of Directors will hold their regular board meetings at 5:30 p.m. on the Thursday following the second Wednesday of each month at the District office located at 901 South Santa Fe Avenue, Fountain, CO for ensuing year 2019. Please call Cindy Murray at 382-5303 for information or directions to the meeting site.